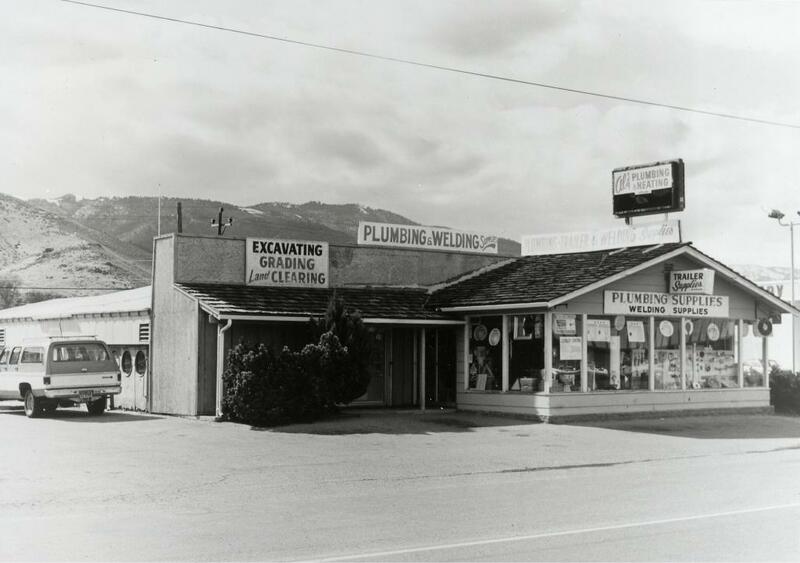 Al's Plumbing and Heating was located at 1400 S. Carson Street, across the street from the Carson Mall. Al Bernhard was the proprietor. In 1955 this structure was assembled around the bodies of two old railroad motor cars: the V&T McKeen Car #22, and Nevada Copper Belt #22. You can see the round porthole windows of the McKeen car on the left side of the building, next to the truck.